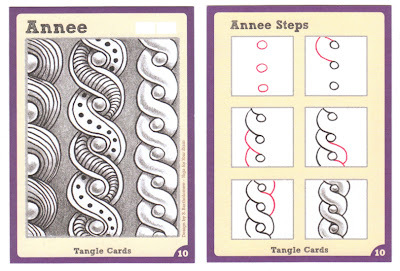 Up next is one of my most favoritest tangles - Annee. Annee was inspired by fancy, carved wood trim in a Newport (RI) mansion. The name came from the fact that I was starving while I drew it and it reminded me of a pretzel from the famous shopping mall destination of a similar name. One trick that I have learned - after drawing a gazillion of these - (and outside on a mural too) - is to draw the first steps... the circles and the curves on the left side... then FLIP your drawing 180 degrees and just repeat the curves down the side again. It is very easy. You can create a piece that uses Annee the way I have designed it, or create your own tangleation, or variation. Post your art on the Beez Ink Studio Facebook Page. And anyone can enter - any age or skill level. And please tell your friends. Let's see what you've got! To see all the contest details, read this post. Entries from Round 1 can be seen here. Annee is from the Yoga for Your Brain card pack. The Tangle card packs can be pre-ordered HERE. 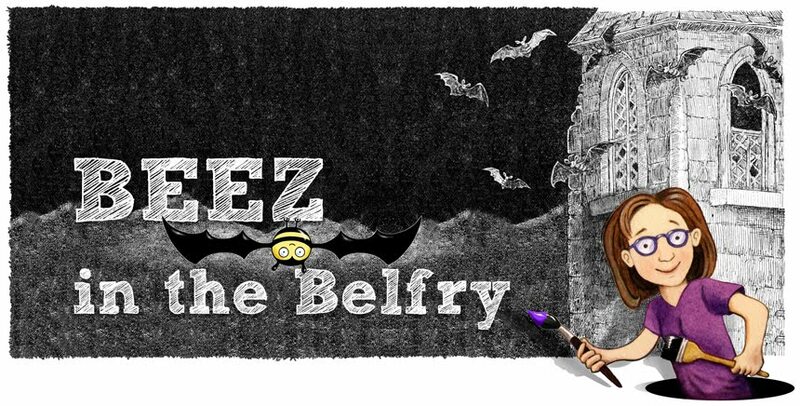 And also be sure to take a look at the contest starting up on the Zentangle for Kidz blog too. HI - WHAT ARE THE BENEFITS OF BUYING THE CARDS WHEN YOU ALREADY HAVE THE BOOKS FROM WHICH THE TANGLES ARE TAKEN? BESIDES THE FUN ASPECT OF COURSE. The cards are great, I just think that if you had come up with a unique and original idea of your own for this contest rather than using the Diva's Weekly Challenge (that she created over three years ago).... you might of had more participants. My loyalty remains with the creator of the DWZC. I'm sure The Diva appreciates your loyalty, but none of us claim to be operating without inspiration from each other. 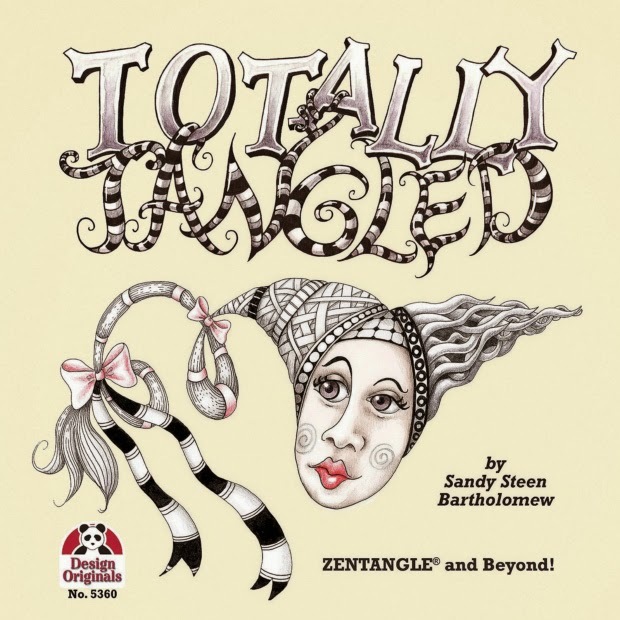 I had the first tangle book, tangle blog, tangle challenge, and Tangles of the Week. I am flattered to have inspired the others and I'm assuming it works the other way as well. Most of my new visitors here at this blog come via Linda Farmer's site. I am no threat to the Diva. :-) My contest is for a limited time for the Tangle Cards, and for people who would like to be included in the new book. If you would like to see a really original contest you might check out the Lilah Bean Challenge we did a few years back (on the www.ZTforKidz.com site)- that was amazing! I am really pleased with the turn out for this one though - not sure i could handle a huge flood! Why do people feel they have to be so rude? If you do not like them do not enter and move on. And what does it matter who hosted a contest or challenge first? Does this mean no one else is allowed to have a contest for a giveaway? Why not appreciate a chance to win something Sandy so generously offered ? Sandy, thank you for the contest and opportunity to win these cards which will be fun and handy in choosing a tangle rather than having to look through an entire book for inspiration. Maybe picking one at random like they do for card tricks to challenge ourselves to do whatever we can with what we drew from the deck. Very handy and fun, if you ask me. More power to you Sandy! I will absolutely be ordering them right away! Great! They really are so cool - I wish i could give them away to everyone who enters. And teachers. These would be so fabulous for teachers. I wonder if I could come up with some kind of Kickstarter project to raise money to get them into schools....? love the whole aspect and it is a great way of sharing . love looking at everyone work.never seeing two alike.I like to enter as many challenges as time allows.and I would love to have a pack of cards to take in my bag. I posted it on your Facebook page and "tagged" it with my name. Last week I "Shared" the post on my wall to get my friends and family to vote for me. I got "likes" there, but they didn't show on your page. Hopefully by tagging my name on it they'll be able to be directed to vote at the right place. Blessings! Results of Tangle Contest #1 - Y.A.F. Time to Runaway Again! Come with me? 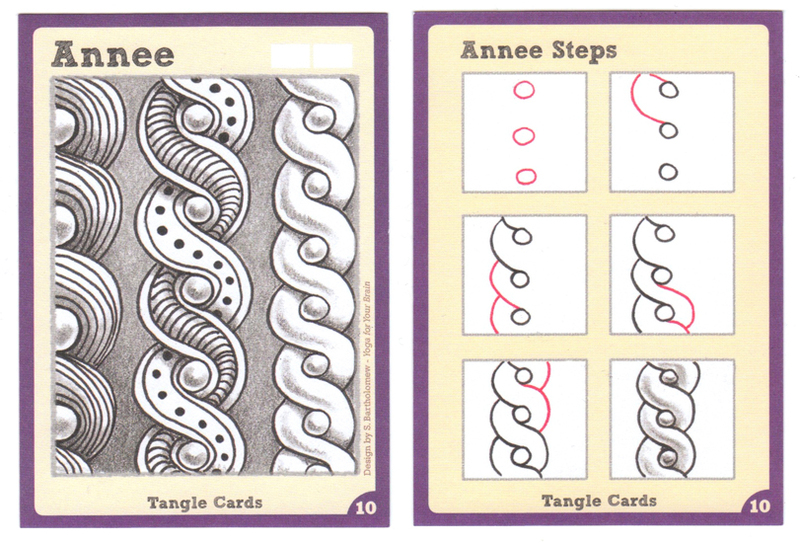 Tangle Card Challenge #1 - Y.A.F.